Following three exciting rounds for Johann Zarco and Hafizh Syahrin in Qatar, Argentina and Texas, the Grand Prix circuit is heading back to Europe this week for the Spanish GP in Jerez de la Frontera, where both Monster Yamaha Tech3 riders aim to continue their respective strong performances. 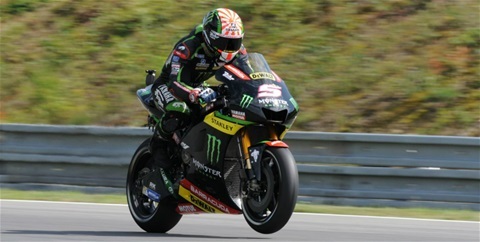 However, Zarco has an impressive statistic under his belt, as apart from his first ever MotoGP race in Qatar 2017, the French star never missed out on the points and therefore intends to extend his success with a 21st result inside the points scoring ranks in succession this weekend in Andalusia. Meanwhile Syahrin maintains the top spot of the Rookie of the Year ranking, although he wasn't able to finish the Americas GP. The Malaysian MotoGP newcomer is set to attack again, starting with the first Free Practice on Friday at 9.55 local time.